We have been breeding cannabis for more than 20 years. We follow the underground growers´tradition and use their experience. We have been cooperating with Ruderalis since 1998. We gained the cannabis genetics mostly from sailors from Amsterdam and Hamburg. Some kinds of sativa come from African students at University of Agriculture. Another ones were brought from India and Near East, part of them originates from the Swiss Alps. Since we love breeding and we had seen the necessity to shorten maturing, we have started to produce regular seeds of autoflowering varieties. Thus we avoid cold and wet autumn. The final selection of suitable plants is done under extreme conditions, right in the fields, without any fertilizing and pesticide use. The plants are not even pre-grown. 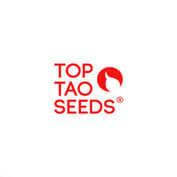 Such strains are suitable for outdoor breeding, with 99% germination capacity, resistant to stress, nutrients shortage. ...and with excellent yield. From regular seeds you can grow high-quality plants with better qualities in comparison to feminized seeds. For those plant breeders who want to grow another hybrids and varieties the regular seeds are the real challenge. By selecting and pollinating plants you can get enough seeds for your friends .Sowing regular seeds is the right thing- return to the roots and nature. By this you bring cannabis back to the place where it belongs to. If you are enough environment friendly, alternative but conservative at the same time, interested in sustainable life on Earth, do not hesitate and breed bio and regular seeds! Not only our success at Cannabis Cup shows that this is worth it.